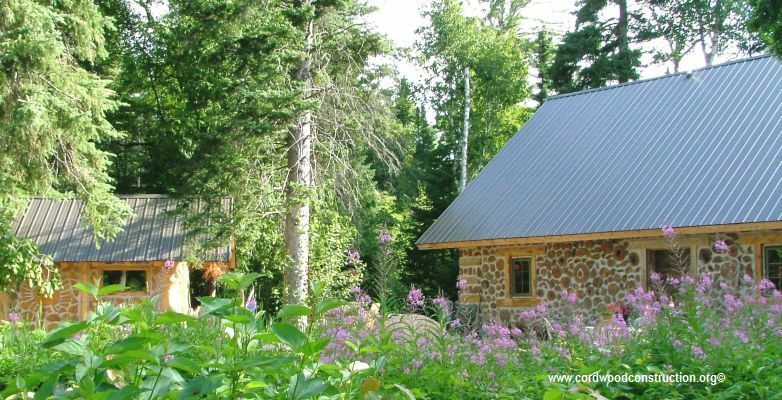 Copper Harbor is a tiny village atop the Keweenaw Peninsula of Michigan’s Upper Peninsula. Settled by Finns, Norwegians and Swedes (among others) it is a rugged land of strong individuals. Since the land abounds with copper, cedar and stone, folks have been building earthy cottages, cabins and homes since the 1700’s. 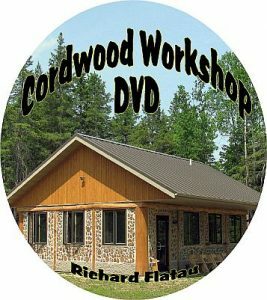 Due in part to Wayne Higgin’s artistic influence (as the builder of one of the peninsula’s first cordwood homes), there has been a wave of cordwood construction beginning in the late 90’s and continuing to the present day. 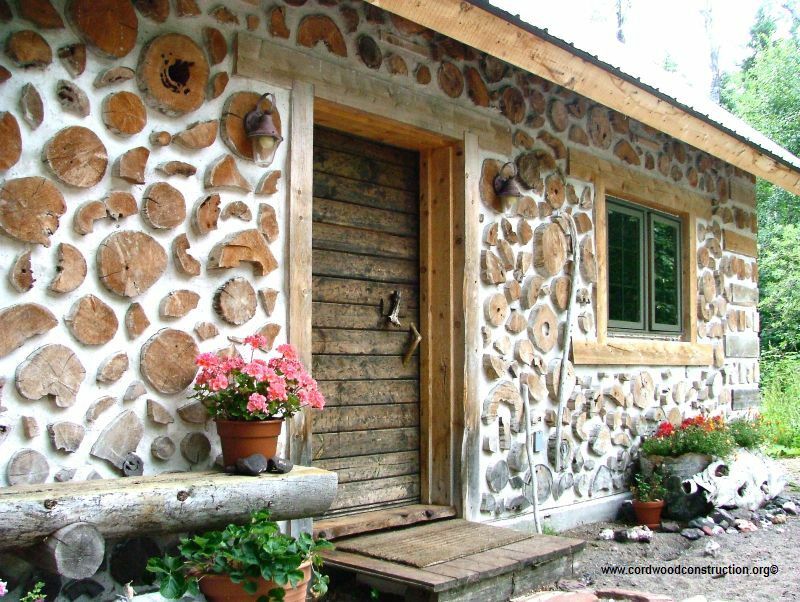 John Meilahn has been instrumental in building cordwood with cedar and adding unique features to his homes. 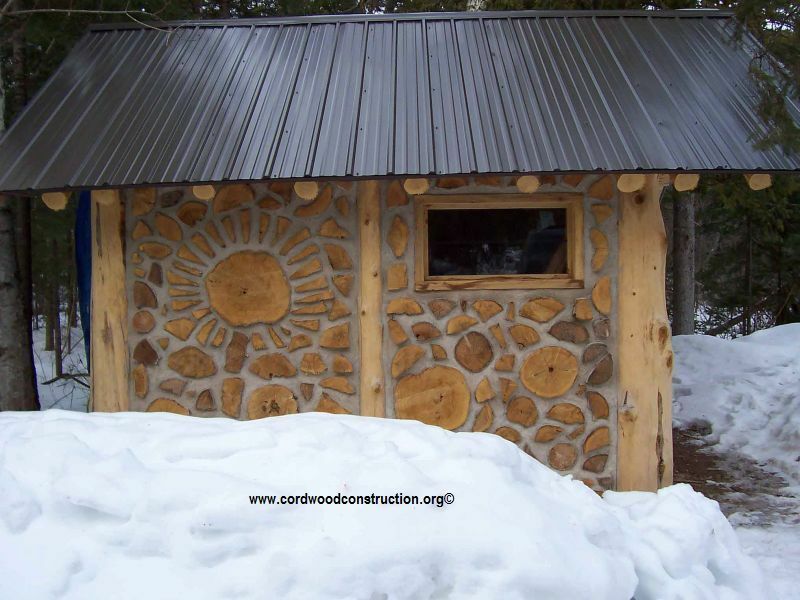 His building partner Steve Peters has likewise demonstrated the beauty of a well constructed cordwood building. 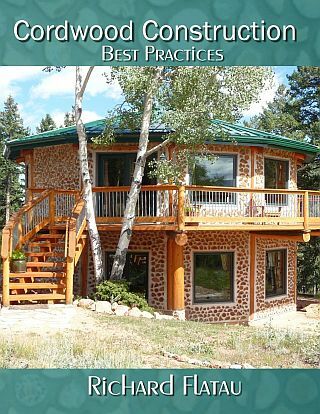 Above is the back of John’s house to the right and his cordwood pump house to the left. The metal roof helps with the annual 270 inches (that’s what I said, 270 inches) of snow. 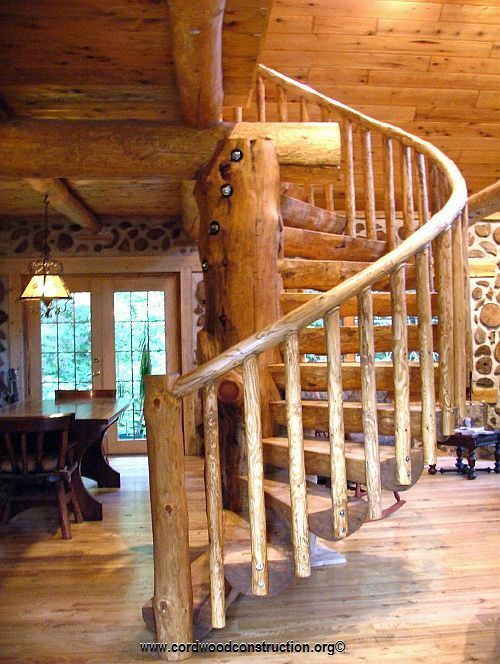 John wanted to make a statement with his spiral staircase. He decided he did not want a splice in his handrailing, so he took a 25′ ash tree and boiled it in a 6″ cast iron pipe. When he opened the pipe, he and four friends bent it around the railing and screwed it in place. Nicely done, don’t you think? 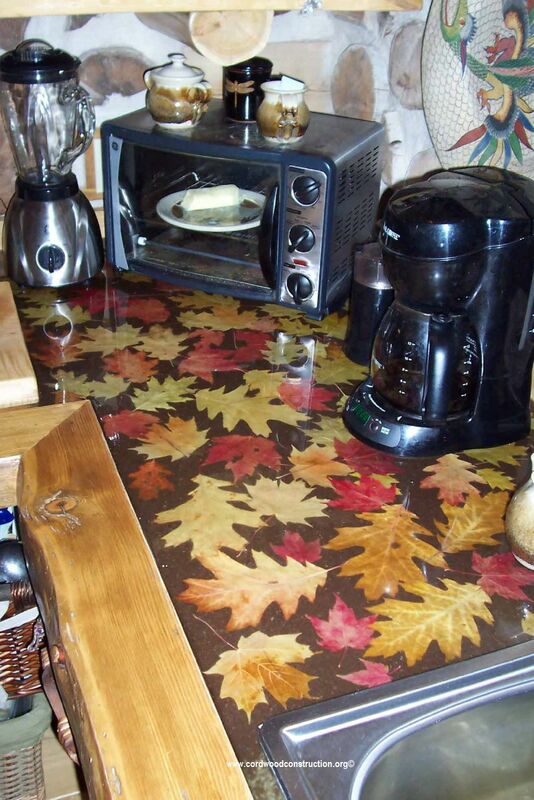 For his kitchen counter tops he took leaves at the peak of color and put them in a clear epoxy resin. He let it dry and now he has Autumn in his kitchen year round! His pump house shows a sunflower motif. The metal roof takes care of all the huge amounts of snow. 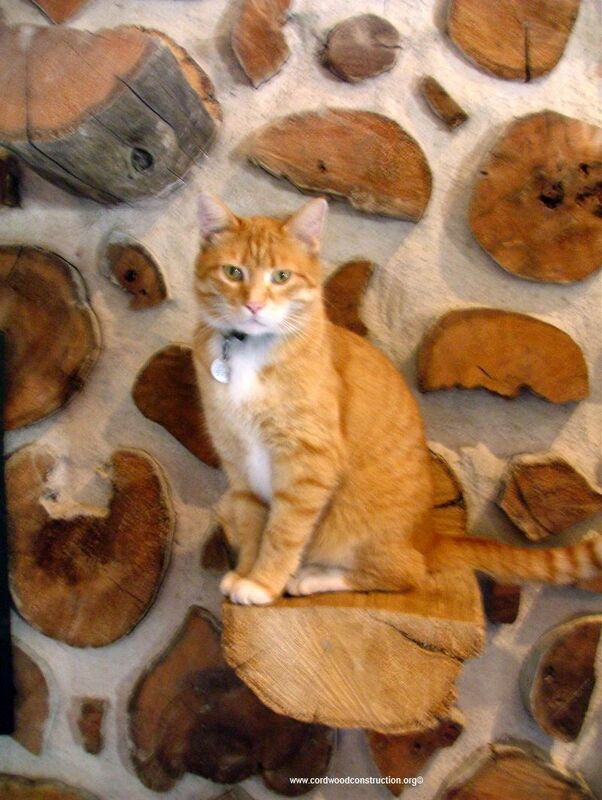 John is a cat lover and so he put in perches (half log slabs) for the cats to sit upon and look regale. One could also put a candle or a knick knack if you don’t happen to have a cat. If you have a question or a comment please email me at richardflatau@gmail.com or fill out the comment form.